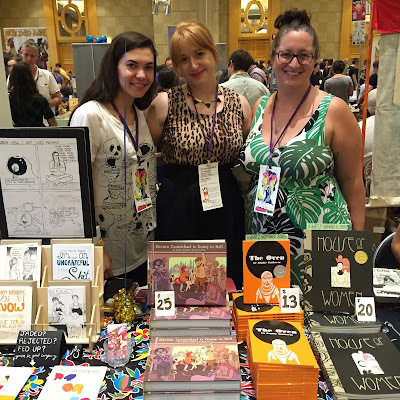 RedInkRadio: SPX and Ignatz Awards last weekend, Topatocon this weekend! SPX and Ignatz Awards last weekend, Topatocon this weekend! It was my great pleasure and honor to win two Ignatz Awards last weekend. My book The Oven won both the Outstanding Comic and Outstanding Graphic novel categories and I took home two new bricks. It's also the first year where women won in ALL CATEGORIES, which is pretty fantastic and I'm happy to have been a part of. If you want to read more about it there's plenty of coverage in The Washington Post. This coming weekend I will be in Northampton, MA at the brand-new, never-worn Topatacon with Jenn Jordan. Come hang out with us if you're in the area. House of Women, Part II Debuting at SPX!